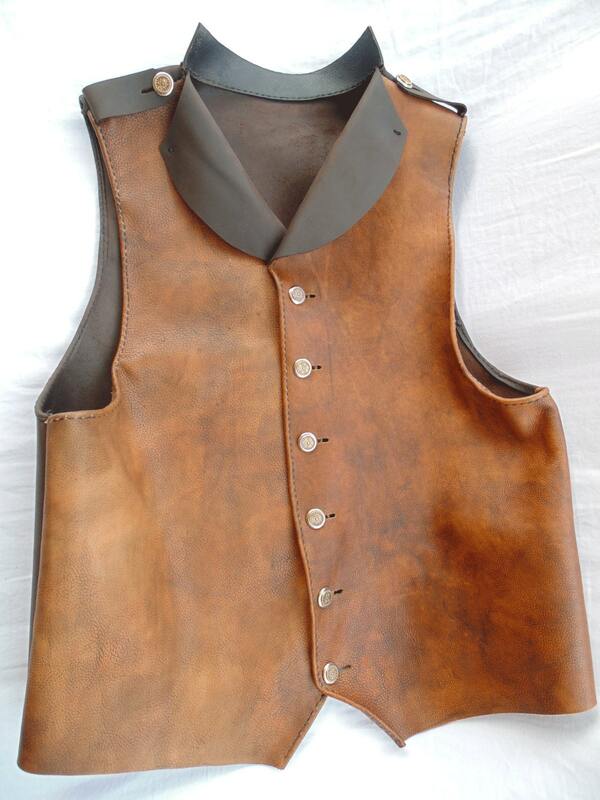 Hand made leather Steampunk/ Victorian style waistcoat. Made to order with your specified size and color- you select color for front of waistcoat; back, lapels and accents are black. Metal buttons. 100% genuine cowhide. Entirely hand stitched with heavy duty waxed nylon thread to last a lifetime!